This summer has been a scorcher and if you're pregnant you're probably feeling the season's wrath in a multitude of ways. The increase in blood supply and hormonal changes can make you feel hotter than normal and cause swollen ankles. You might even experience lightheadedness and headaches or feel more tired than usual. So until summer's heat breaks or your due date arrives, beat the heat with these smart tricks for moms-to-be. Craving something sweet? A homemade ice pop may be just the thing to indulge your desires and cool you down. Try one of our favorite popsicle recipes (Virgin Pina Colada Popsicles or Mango Berry Yogurt Pops anyone?) and you’ll get a healthy helping of fruit and vegetables, too. We found popsicle recipes featuring everything from avocados to raspberries. Not only will swimming during pregnancy cool you off, but also it should feel absolutely divine. The pool is the one place you’ll finally feel light on your feet because being in the water will make you feel weightless. Swimming, or even just relaxing in the water, can also alleviate another charming pregnancy side effect that’s often exacerbated by the heat – swelling. The water pressure actually compresses your legs and ankles to ease the swelling. If you don’t have a pool nearby, you can ease swollen feet and ankles by putting your feet up – the higher the better – to promote circulation. Sounds like a great reason to relax on the couch with a good book to us! Drinking extra water and staying hydrated when temperatures soar is important whether you’re pregnant or not, but even more so for expectant moms. Dehydration can cause plenty of problems beyond thirst including pregnancy headaches and even pre-term labor. If you find plain old H2O boring, try making lightly flavored fruit or vegetable infused water instead. 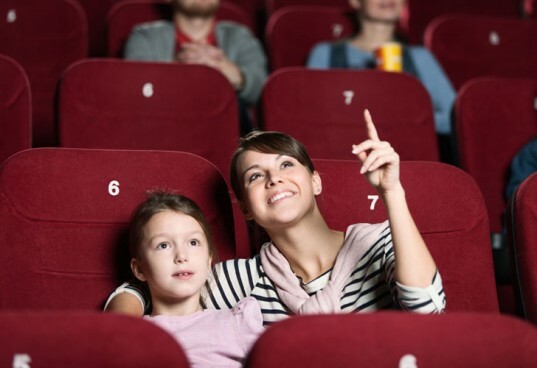 Go treat yourself to an afternoon at the movie theater – you’ll get a chance to relax and you can indulge in air conditioning that will likely be on full blast, without feeling guilty. You might not want to turn the temp down too much at home for energy efficiency’s sake, but you can think of the movie theater like the public transportation of A/C. Go ahead and enjoy it! Craving something sweet? A homemade ice pop may be just the thing to indulge your desires and cool you down. Try one of our favorite popsicle recipes (Virgin Pina Colada Popsicles or Mango Berry Yogurt Pops anyone?) and you'll get a healthy helping of fruit and vegetables, too. We found popsicle recipes featuring everything from avocados to raspberries. Not only will swimming during pregnancy cool you off, but also it should feel absolutely divine. The pool is the one place you'll finally feel light on your feet because being in the water will make you feel weightless. Swimming, or even just relaxing in the water, can also alleviate another charming pregnancy side effect that's often exacerbated by the heat - swelling. The water pressure actually compresses your legs and ankles to ease the swelling. If you don't have a pool nearby, you can ease swollen feet and ankles by putting your feet up - the higher the better - to promote circulation. Sounds like a great reason to relax on the couch with a good book to us! Drinking extra water and staying hydrated when temperatures soar is important whether you're pregnant or not, but even more so for expectant moms. Dehydration can cause plenty of problems beyond thirst including pregnancy headaches and even pre-term labor. If you find plain old H2O boring, try making lightly flavored fruit or vegetable infused water instead. Go treat yourself to an afternoon at the movie theater - you'll get a chance to relax and you can indulge in air conditioning that will likely be on full blast, without feeling guilty. You might not want to turn the temp down too much at home for energy efficiency's sake, but you can think of the movie theater like the public transportation of A/C. Go ahead and enjoy it!